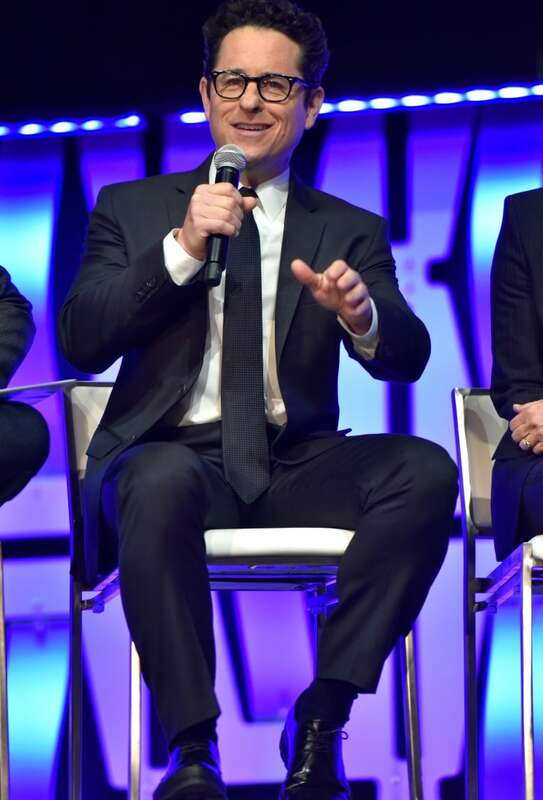 "No one is ever really gone," says the voice of Luke Skywalker in the first teaser trailer for Star Wars: Episode IX, which audiences finally learned will be called Star Wars: The Rise of Skywalker, Friday at a fan event in Chicago. 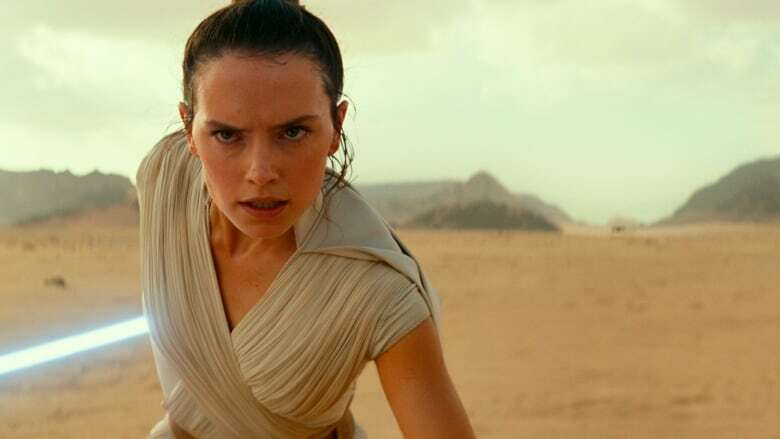 Mark Hamill's Skywalker may have died at the end of the most recent instalment but his voice dominates the teaser trailer, telling someone, possibly Daisy Ridley's Rey, that "this is your fight now." And audiences got a tantalizing tease from another figure from the past: Emperor Palpatine from the original and prequel trilogies, whose ominous laugh closes out the promotional spot. Carrie Fisher's Leia Organa is back as well, despite the actress's untimely death in December 2016, thanks to unused footage from The Force Awakens, which Abrams was able to craft into its own narrative for this new film. He's editing and adding visual effects to the film which will hit theatres on Dec. 20 and said that despite Fisher's death, "we're working with her every day." "This is an adventure that the group goes on together," he teased, although he wouldn't reveal whether that meant the group on stage or some other combination. She added, "I think I can confirm there are no more semi-naked Kylos." That's a reference to the scenes of a shirtless Driver in The Last Jedi that surprised fans. 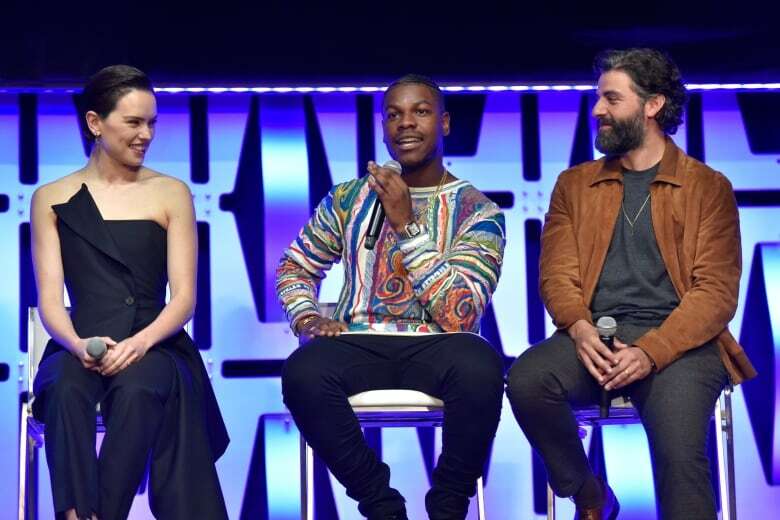 Although fans are salivating for any morsel of information, the panellists stayed as vague as possible, and kept things light-hearted debating questions like "who's a better pilot: Poe or Han?" and even taking a break so the audience could sing an unprompted Happy Birthday to Ridley, who turned 27 on Wednesday.